Ah, yes. Paul Ryan has avoided that tragedy and that tragedy and that tragedy and that tragedy and? Oh. He went on to defend himself against those who believe, correctly, that Ryan has been a passive “yes” man to the president. 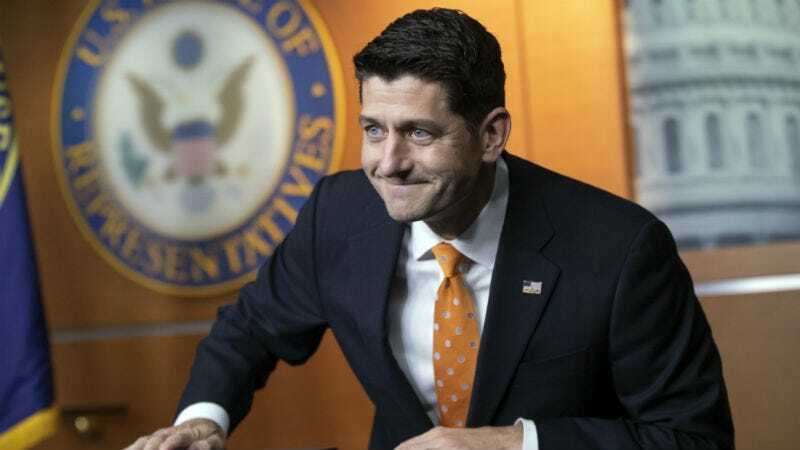 He told the Times that Trump simply enjoys “trolling.” “I think some people would like me to start a civil war in our party and achieve nothing,” Ryan said. Yes, he definitely achieved something. Check out the rest of the profile at the Times.